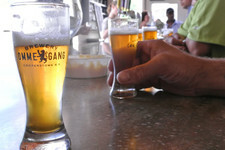 This year's Belgium Comes to Cooperstown festival at Brewery Ommegang is set for August 7 and 8. Tickets go on sale April 1 at noon and they usually sell out very quickly. This year's 90s theme will pervade the festival while more than 100 breweries will be on hand pouring more than 300 unique beers for the 3,000 attendees. In addition to great beer, BCTC promises gourmet food vendors, live music, on-site camping, fireworks, and much more. Tickets for the Saturday afternoon tasting event are $110, $125 with camping that night. There's a VIP tickets for $275 that includes a five-course beer pairing dinner Friday night, additional access to beer tasting on Saturday, and two nights of camping. The Baseball Hall of Fame -- in Cooperstown, as you know -- announced the 2014 class of inductees Wednesday, and it's a notable group. Greg Maddux, Tom Glavine, and Frank Thomas all got the nod on their first ballot. The trio will be inducted in Cooperstown this July 27. This year's class is a big turnaround from last year's group, which was headed by... umpire Hank O'Day, and included a former Yankees owner and a 19th century third baseman. When the marquee name in an induction class is an umpire, you're not exactly talking about high wattage. But this year is great. Maddux is one of the all-time great pitchers -- not just Hall of Fame great, but one of the handful of best ever. And Glavine and Thomas are no slouches, either. And they're recent! There's a good chance you once had one of these guys on your fantasy team. Also adding to this year's class: managers Tony LaRussa, Joe Torre, and Bobby Cox were elected to hall by the Expansion Era Committee last month. More star power. As a result, Cooperstown -- just about 70 miles from Albany -- should be hopping for induction weekend this year. If you're a big baseball fan, it can be fun. We went a bunch of years ago and it was... very hot. But lawn "seats" are free and "virtually unlimited on a first-come, first-served basis." 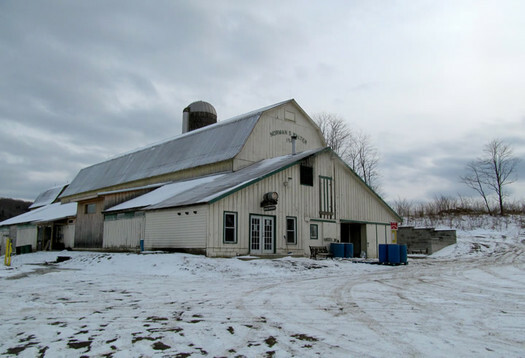 Twenty miles outside of Cooperstown, in a hamlet called Garrattsville, there's a brewery housed in an old dairy barn. It doesn't even really look open when you drive up to it. But despite its humble dwellings, Butternuts Beer and Ale is sending out beer to fourteen states around the country. Chef Dimitrios Menagias of City Beer Hall in Albany will be hosting a decadent night of beer and food pairing, Friday, March 15th. This will be the first time the Ommegang Iron Throne ale will be released. To celebrate the release, guests will be transported to a culinary King's Landing through a serious of masterfully paired dishes fit for any Lannister, Stark or Tully. Tickets for the dinner include a decadent 5-course dinner with matching beers to pair and the first bottles of the limited edition Game of Thrones Iron Throne ale to be released from the brewery. To compliment the Iron Throne ale, guests will also receive a commemorative Game of Thrones glass. Tickets are $100, and are available ahead by calling (607) 286-4090 (Ommegang says it's expecting the event to sell out). The dinner starts with a beer tasting at 7 pm, and seating at 7:30 pm. "This is a strictly 21+ event." Iron Throne Blonde Ale is the inaugural beer in the series. The result of a creative collaboration between Brewmaster Phil Leinhart and HBO, the new Iron Throne Blonde Ale will launch nationwide timed to the show's third season debut this spring on March 31. The collaboration between Ommegang and HBO is focused on developing unique beers that directly tie into themes, characters and nuances of the medieval-like fantasy realm of Westeros and the surrounding kingdoms, where the competition to sit on the Iron Throne is fierce and deadly. We can't decide if this is fun and kind of goofy, or sounds like the sort of drink Fonzi might enjoy after waterskiing. It might be both. Update: There's an image of the bottle post jump. 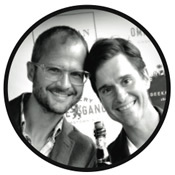 This Saturday Brewery Ommegang is hosting a dinner with "The Fabulous Beekman Boys" -- Brent Ridge and Josh Kilmer-Purcell (maybe you've seen their TV show). 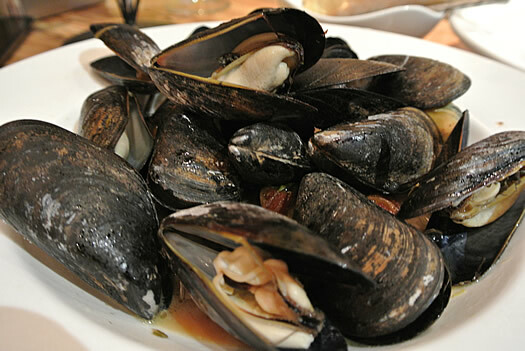 The dinner will include cheese from the Beekman farm in Sharon Springs, as well as Ommegang beer pairings (of course). Dinner is at 7 pm. Tickets are $75 per person (tax and tip not included). Reservations: (607) 286-4090. When the band Cake showed up for their concert at Brewery Ommegang earlier this summer, their first question was: "Where's the ping-pong table?" 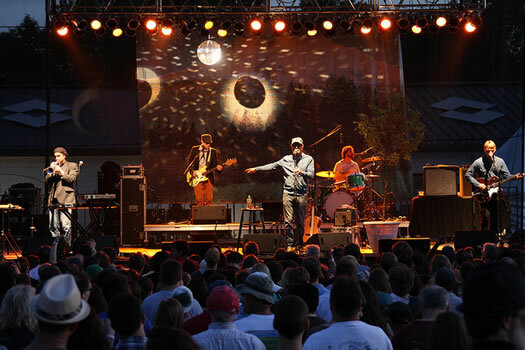 And that question helps explain how Cooperstown, better known for baseball, has become a destination for big music shows this summer, including Wilco this week -- and Bon Iver in September. 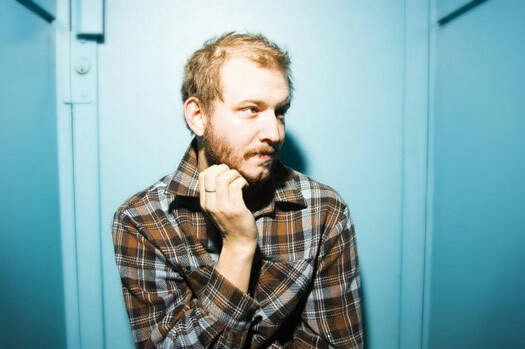 Indie folk band Bon Iver is playing a show at Brewery Ommegang in Cooperstown September 17. Advance tickets are $39.50 ($54.50 with camping) -- $45 day of. They go on sale this Friday (June 29). Bon Iver started, somewhat famously now, with singer songwriter Justin Vernon holing up in a cabin Wisconsin. The resulting album -- For Emma, Forever Ago -- was first released in 2007 and went on to all sorts of critical acclaim. A second, self-titled album in 2011 continued to draw high praise. The opener for the show at Ommegang is Anais Mitchell. The show is rain or shine. Chairs and blankets are allowed -- but "no glass, pets, umbrellas, alcohol, tailgating, coolers or outside food or beverage." By the way: "Bon Iver" is based, sort of, on the French for "good winter." By this point, we're guessing they've figured out how to afford the rock 'n roll lifestyle. Drawing's closed! Winner's been emailed! Congrats to Drew! The band Cake is playing outside Friday evening at Brewery Ommegang in Cooperstown. It sounds like a great show. We have a pair of tickets for it, and we're giving them away -- maybe to you. It could be a specific cake from a specific place, or just a type in general. We'll draw one winner at random from the comments. The Cake show at Ommegang starts Friday at 8 pm. Gates open at 5:30 and there will be food and drink available for purchase. The show is outside and lawn chairs are allowed. Tickets are $42.50. This show is just the first of a solid lineup at Ommegang this summer, including Death Cab for Cutie (July 21), Lyle Lovett (July 27), and Wilco (July 28). Important: All comments must be submitted by 10 pm on Wednesday, June 13, 2012 to be entered in the drawing. One entry per person, please. You must answer the question to be in the drawing. You must enter a valid email address (that you check regularly) with your comment (seriously, we want to give you the tickets). The winner will be notified via email by 11:59 pm on Wednesday and must respond by noon on Thursday (June 14, 2012). 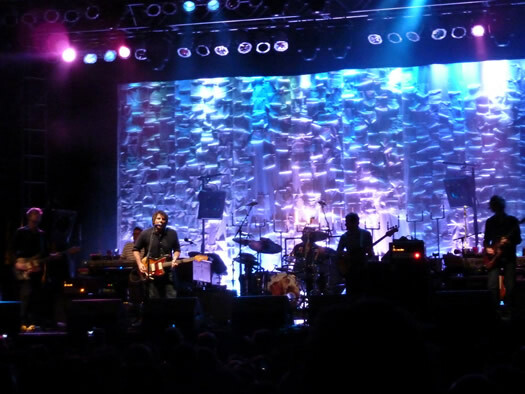 Wilco at MASS MoCA in 2010. 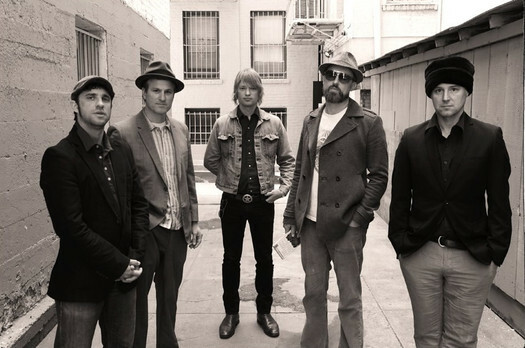 Wilco is playing outside at the Belgian-style brewery in Cooperstown July 28. Tickets go on sale this Friday (April 13) at 11 am. The Lee Ranaldo Band opens. Tickets are $42 ahead, $50 day of (kids under 12 free). Camping is another $15. It's a rain or shine event. Wilco is playing a benefit show for the museum July 31. It will be indoors, in the museum's Hunter Center, with a capacity limited to 1000 people. MASS MoCA members get first crack at the tickets this Wednesday and Thursday (April 11 and 12) -- a limited allotment will be made available at the price of $113 (limit 2 per member) -- by calling the museum's box office (413.662-2111 x1) between 11am and 5pm . After that, the tickets will go up for a public auction/lottery that starts Friday. Details for that are after the jump. And, if you're planning way ahead, the next Solid Sound Festival at MASS MoCA is June 21-23, 2013.